Dating app company Bumble has launched a new feature called Spotlight, which is similar to the Tinder “Boost” feature. With this feature, users can have their profiles jumped to the front so that it can it can be seen by more people. “Spotlight is our new premium feature designed to advance your profile to the top for the stack to be viewable by more people instantly. When you use two Bumble Coins to activate Spotlight, for 30 minutes we will shuffle your profile to the top without anyone knowing,” says Bumble in its FAQ. The queue on dating profiles is typically arranged based on profile popularity, the quality of photos and several other factors. According to TechCrunch, Bumble users have to pay two Coins to use Spotlight. One coin is $0.99 in the U.S. (£1.99 in the U.K.). After Spotlight is activated, it will show your profile to more users for 30 minutes. Users will not know that you paid for Spotlight because it will not be marked. But you will know when Spotlight is activated because stars are displayed at the top of the Bumble app when the feature is enabled. Facebook said that it is considering the removal of anti-vaccine information from the social network. Information that is discouraging users from getting vaccines for children has been spreading on Facebook especially in the Groups feature. And this may have contributed to an outbreak of the measles in Clark County, Washington recently. Many of these groups are closed so that people who advocate the use of vaccines are unable to argue their case. Bloomberg reported that Representative Adam Schiff sent a letter to Facebook CEO Mark Zuckerberg and Google CEO Sundar Pichai asking them to address the anti-vaccine content spreading. “There is strong evidence to suggest that at least part of the source of this trend is the degree to which medically inaccurate information about vaccines surface on the websites where many Americans get their information, among them Facebook and Instagram,” wrote Schiff in the letter to Zuckerberg. Facebook responded by saying that it is “exploring additional measures to best combat the problem.” This may include the removal of this type of content from recommendations including the removal of this content from the “Groups You Should Join” section and demoting the content in search results. In Google’s case, anti-vaccination content has been rapidly spreading on its YouTube video subsidiary. For example, one of the top results for the word “vaccines” on YouTube features an anti-vaccine documentary called “The Truth About Vaccines” which has over one million views. The World Health Organization (WHO) has listed vaccine hesitancy as one of the top 10 global health threats in 2019. The WHO cited a 30% worldwide increase in measles, which could be fatal for children. As a result of the outbreak in Washington, the state had to impose a state of emergency after 48 people contracted measles. A majority of the people who contracted the measles were unvaccinated and under 10 years old. Facebook confirmed that it has acquired GrokStyle, an artificial intelligence and visual search technology company. The terms of the deal were undisclosed. 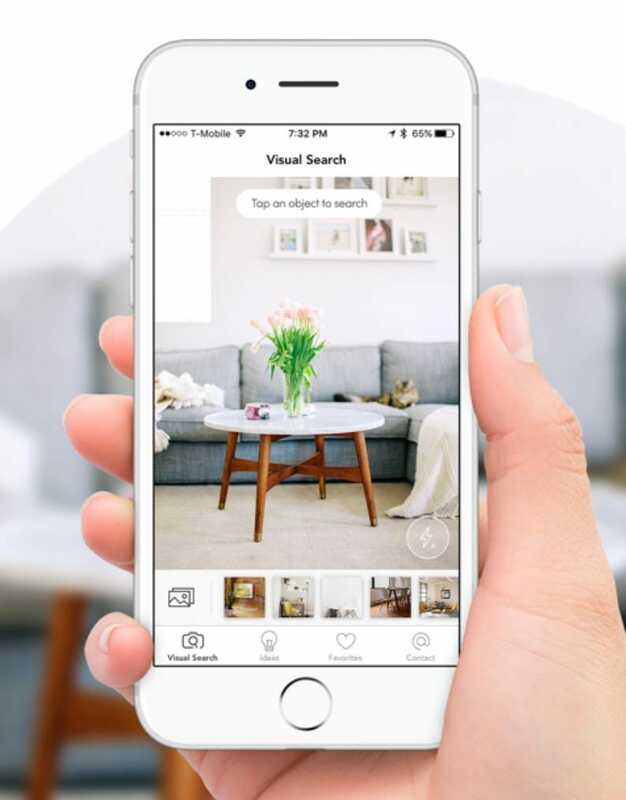 Ikea uses GrokStyle’s technology for its mobile app. Users can take a photo of a piece of furniture and then the app matches it to similar products that can be bought online. “We are excited to welcome GrokStyle to Facebook,” said Facebook spokeswoman Vanessa Chan in a statement via Bloomberg. “Their team and technology will contribute to our AI capabilities. Facebook could potentially use this technology to display similar items being sold through Facebook Marketplace. Instagram is currently testing the ability to send messages through the web version of the photo social network. Developer and app research Jane Manchun Wong was able to bypass Instagram’s front-end and discover the feature. Then she notified TechCrunch about the feature. Wong has had a strong track record when it comes to finding out about new features on Facebook, Instagram and other social media platforms before it gets rolled out to the public. This past week, Instagram confirmed that it had a problem with a bug that caused the number of followers users had to change substantially. A number of users believed that their numbers were being dropped due to spammer accounts being deleted. “We’re aware of an issue that is causing a change in account follower numbers for some people right now. We’re working to resolve this as quickly as possible,” said Instagram in a tweet about the issue in the morning of February 13. The company followed that up with another tweet that the issue would be resolved by 9AM PST the following morning. Reddit recently announced that it has raised $300 million in funding, of which $150 million was provided by Chinese Internet giant Tencent. The source of the funding was controversial since the Reddit community thrives on freedom of speech as users openly discuss controversial topics, often involving the government. And Reddit is often blocked in China due to “The Great Firewall.” So Reddit users decided to protest the move by posting photos of Winnie the Pooh and the 1989 Tiananmen Square protests. Winnie the Pooh has become a meme as a way to mock the appearance of Chinese President Xi Jinping. CNBC estimated that Reddit generated $100 million in revenue this year. With 330 million monthly active users (MAU), this makes Reddit’s average revenue per user (ARPU) around $0.30. This is substantially lower than Twitter’s ARPU of $9.48 based on $3.04 billion in 2018 revenue with 321 million MAUs. Facebook saw 2.32 billion MAUs with an ARPU of $7.37. Plus Snap’s ARPU for its latest quarter was $2.09. Even though Pinterest has not disclosed its annual revenue, it is estimated to be at $700 million for 2018 — which means it would have an ARPU of $2.80. One of the most requested features for Twitter is the ability to edit posts. However, Recode recently quoted CEO Jack Dorsey in an article about how the company is considering the ability to clarify tweets rather than being able to edit posts. During a Goldman Sachs event in San Francisco on February 14th, Dorsey said that Twitter is “thinking about” a feature that would allow users to add clarifications or annotations to old tweets specifically. This system would be different than retweeting the original tweet with a comment. With the proposed system, a clarification would be added anywhere the original tweet appears, which could also come in handy if the tweet was embedded on news websites and blogs. Older tweets being brought up have had a direct impact on a number of high-profile users. For example, Kevin Hart was dropped from being the host of the Academy Awards after old tweets of his featured homophobic jokes. And Guardians of the Galaxy director James Gunn was fired from the latest sequel over offensive tweets — of which some were a decade old. While a clarification feature may not prevent users from getting fired from jobs, it could still allow them to permanently add a comment to the original tweet. Dorsey emphasized that he is not saying that they are going to launch that feature though. But if this feature does actually get built, then it would likely be tested with journalists and news companies first.